Welcome to the Handprint the Alphabet series for kids! We’re looking to learn and get creative with our preschoolers this summer. 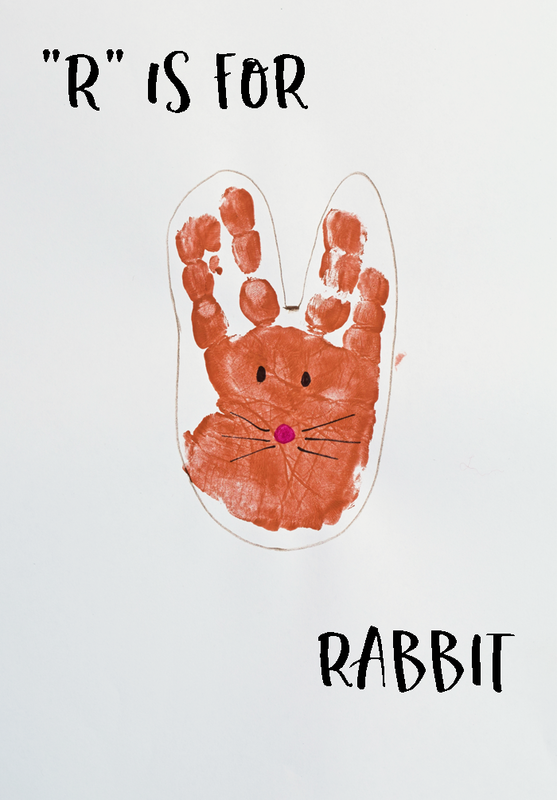 Today is letter “R.” In honor of my favorite animal when I was a kid, today’s handprint art is a Rabbit. We have many rabbits around our house, and my kids love spotting them. 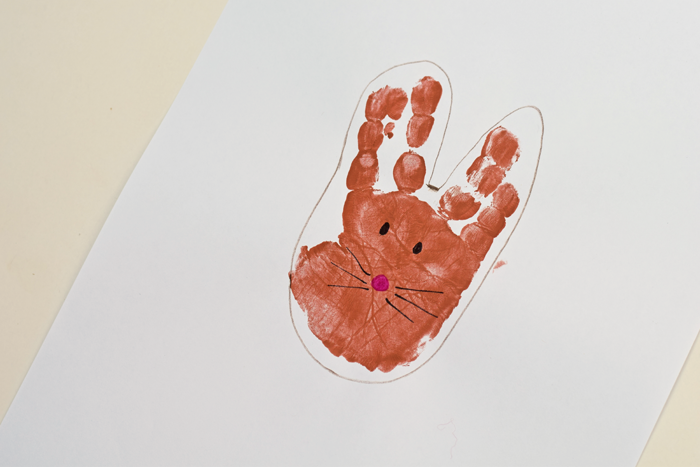 They especially adored making their own handprint rabbit with today’s project. Be sure to pop over and check out my Tips for Great Handprint Art with Kids post if you’ve never done handprint art with preschoolers before. I share a few pointers plus my go-to supplies! Apply the paint to one hand, minus the thumb. Rabbits can be a variety of colors, so the little ones can choose their rabbit color if they would like. If the kiddos choose a white rabbit, you will need a darker color paper. Lay the hand in the center of the paper with a space between the middle two fingers. Two fingers together are one ear, and the other two fingers together are the second ear. Apply gentle pressure to the hand, and then lift it up. Clean off the hand. Let the paint dry completely. Using a coordinating marker or colored pencil, draw a face and ear shape around the rabbit. Use a black marker to draw in eyes and a mouth with whiskers. If you have a red or pink marker (or a dab of paint), you can use it to make a cute little nose. Thanks for following along, and I’ll see you back tomorrow with the letter “S!” I’d love to hear if you are joining in on the series with your kiddo. Feel free to post photos on my Facebook wall or tag me on Instagram!